This week hasn’t been as productive as I’d have liked (no week ever is anymore), but it’s been reasonably good. It’s been sunshine-y (albeit chilly), and the check engine light in my car has remained off. While I didn’t write as much as I hoped to, what I did write was (I think) good, and I’ve read a good amount. I’ve even managed to spend a minimal amount of time this week dealing with politics-induced rage (although there are more reasons than ever to be furious). It’s not been bad, even if my hardcover of The Stars Are Legion STILL hasn’t shown up yet (grrr). In the coming week, I’ll be covering The Expanse as usual, writing about a couple of recent reads that I loved and maybe talking some about the Hugo Awards since nomination ballots are due by Friday. Other than that, I’ll probably spend the week wrapped up in a blanket with a book because it’s forecast to be probably the longest stretch of cold(-ish) weather we’ve had in Cincinnati all winter. If you’re looking for March releases (for reading purposes or for feeling-sad-about-not-having-time-to-read-them-all purposes), Tor.com has most of them listed, in fantasy and science fiction. This week saw the release of Ada Palmer’s Seven Surrenders, and she wrote an interesting piece over at the Tor/Forge blog where speculates on what the future will call our current era. Also out this week is Alex Wells’ excellent Hunger Makes the Wolf. Wells is interviewed over at Shimmer Magazine. Silvia Moreno-Garcia wrote a good piece at Book Riot on the women in science we don’t write about. Mahvesh Murad and Jared Shurin have an anthology, The Djinn Falls in Love and Other Stories, coming out on Tuesday, so they (and some of the authors in the book) popped in at Terrible Minds to share some writing advice. At Ars Technica, Annalee Newitz is spreading the good news of Fireside Fiction’s existence. You can (and should) support Fireside on Patreon. If you’re a lover of short fiction, be sure to take advantage of Lightspeed’s current offer of a free three-month subscription to try out the magazine. At the Wertzone, Adam Whitehead’s first proper entry in his Cities of Fantasy was all about Sigil, which reminded me that it’s been far too long since I played Planescape: Torment. Mari Ness continued her blog series on fairy tales with a breakdown of how “King Thrushbeard” is all about gaslighting. nerds of a feather, flock together continued their Dystopian Visions series with posts on Brave New World and The Player of Games, along with an excellent guest post by Paul Kincaid on the history of utopias and dystopias. With Hulu’s The Handmaid’s Tale adaptation just a few weeks away, Margaret Atwood has started making the rounds to promote the project and talk about her novel. She did an AMA on Reddit, from which Lit Hub collected the highlights. She also wrote a piece of her own at the New York Times, where she talked about her writing process and how she hopes the book is read. 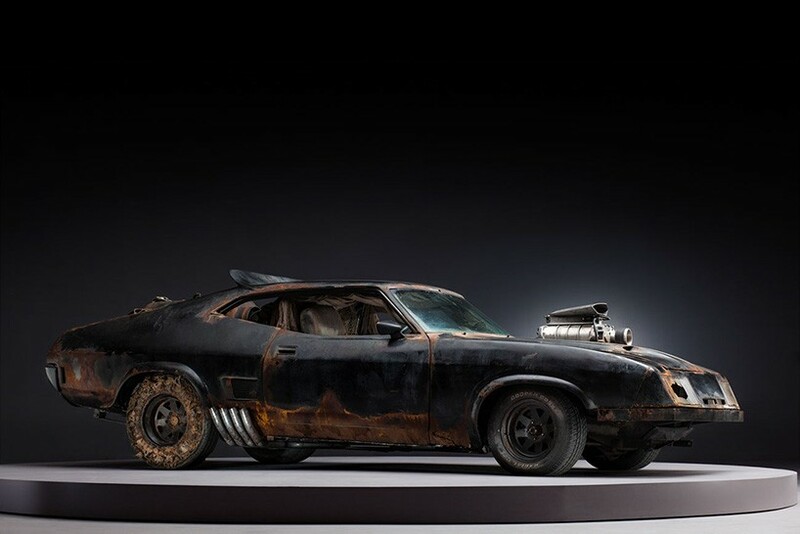 It’s not as great as all these stories by awesome women, but these photos of the cars from Mad Max: Fury Road all clean and shiny are pretty gorgeous.